Descriptions and information about all the performances the piece sees, and processes of making them happen. Our two newest shows, Gilded Cages and Mrs. Frost, are now scheduled in performance slots at Arisia 2019! Come join us at the convention for our most ambitious and intense program yet! Mrs. Hawking is accomplished at the 2018 Watch City Steampunk Festival! Thank you so much to our lovely audiences who came out to see us. It meant so much that you enjoyed our performances, and that we had the chance to share our stories with you. And we are incredibly grateful to those generous folks who donated, which is so helpful to bringing future Hawking stories to life. So what’s next for Mrs. Hawking? ​”Mrs. Hawking – the Proof of Concept” – our first cinematic project! As we mentioned at our shows, we are undertaking our first film project this summer! We are making a short piece called a proof of concept to demonstrate the potential of the storytelling of Mrs. Hawking, in hopes of someday getting picked up for a full-scale television production. To accomplish this, we are looking for volunteers! First we are looking for general crew assistance! We are filming during the day on the dates of June 7th, 14th, 19th, 26th, and 28th. We could use hands at our filming location in Wrentham, MA. No experience necessary, but we do need the ability to do minor lifting and carrying as well as the willingness to take on odd jobs on set. Lunch and dinner provided, as well as your name in the credits of our film. Secondly, we are looking for ensemble members for a ballroom scene! 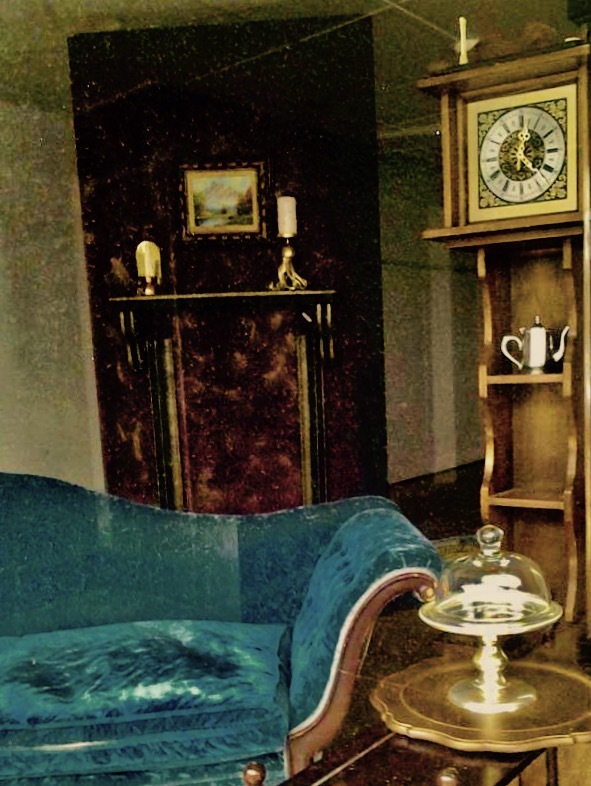 On the shooting date of June 19th, we would love to have members of the steampunk community come dressed in their finest Victorian eveningwear to mingle in the background of one of our scenes. If you’re interested, please email us at mrshawkingweb@gmail.com for the specific details— and a shot of your intended costume would be great! if you’d like to participate as an extra but don’t have you own costuming, please let us know– we have a limited wardrobe that we may be able to dress you from, and we will arrange time for you to be fitted. Again lunch and dinner will be provided, as well as your name in our credits. If either or both of these seem like fun to you, email us at mrshawkingweb@gmail.com for more information, or to formally register your interest! We’ll let you know everything it entails. Thanks for your support! We can’t tell you how grateful you are for following the Mrs. Hawking story. We’ll be sure to keep you updated here on the website, and if you’re interested in donating, you can find a link to our Paypal below. We can’t wait to bring you more of this exciting new series! Upcoming Hawking productions – next performances, and a new film project! The next slate of Mrs. Hawking performances and projects is now ready to be announced! 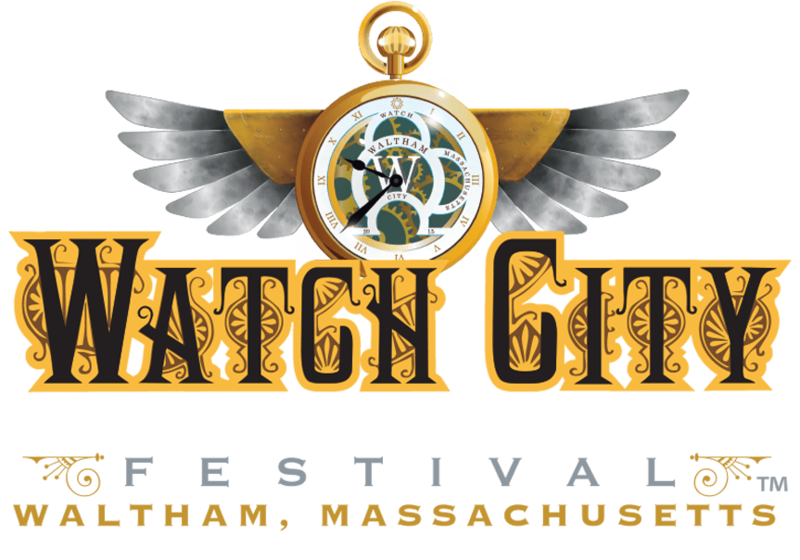 We are again having a reprise of our Arisia performances at this year’s Watch City Steampunk Festival in Waltham! 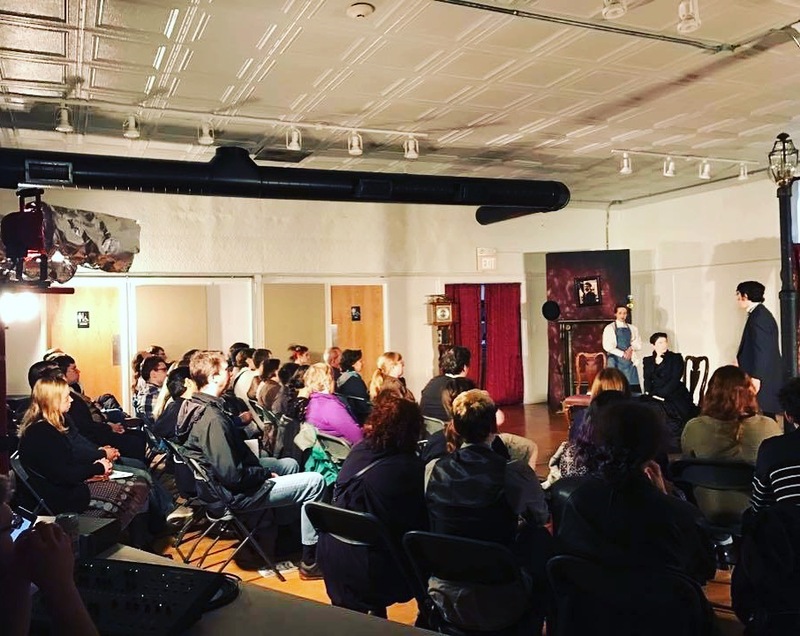 If you missed seeing part III: Base Instruments and the debut of this year’s brand new show, part IV: Gilded Cages, you will now have the chance this May in Waltham! And for the Steampunk Festival, attendance is TOTALLY FREE! We are now beginning a BRAND NEW MRS. HAWKING PROJECT. Team Hawking is delighted to announce that this year we are going to be making our first foray into film! 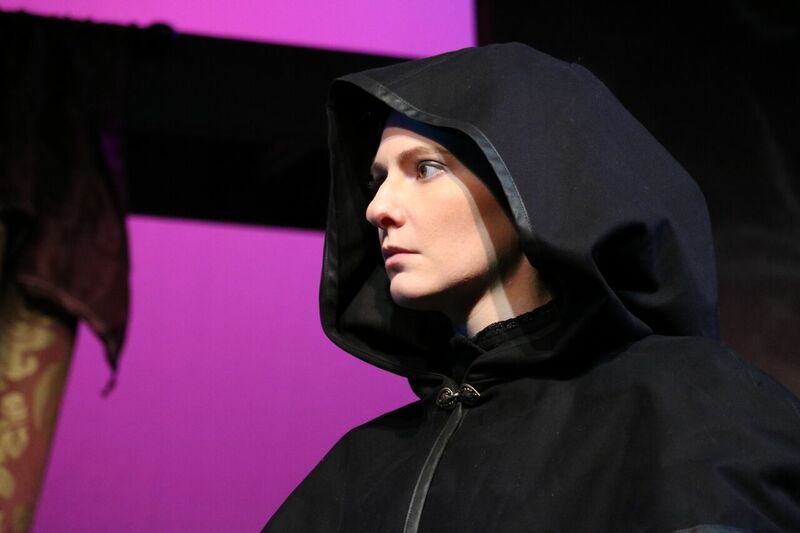 As we’ve progressed with the Mrs. Hawking series, it’s become clearer and clearer that while we can bring a great deal to performance onstage, this is really a story that belongs on film. I think a lot of people can agree that this narrative would be properly told as a television show. So, with the help of Boston local artists Sean Sederholm and Francis Charles Sheehan, we are putting together a short piece to demonstrate all the potential for drama, spectacle, and emotional punch the story has to offer. This twelve-to-fifteen-minute piece will take a form somewhere between a trailer and a short film, capturing the essence of the project and suggesting the full breadth of the narrative. Our hope is by filming a sufficiently fascinating tease, it will entice production companies working at a higher level to invest in and support the project. With luck, we could someday get the resources to produce the full Mrs. Hawking series pilot. We are making plans to begin filming this summer, right after the Watch City Festival production is done, and with our longtime leads of Cari Keebaugh, Circe Rowan, and Jeremiah O’Sullivan. We’ll have more information about the process here on this website soon. But if you’d like to support bringing this project to a reality, we are accepting donations to put towards the costs of productions. Turns out movies take capital, and we’d be incredibly grateful for anything you’d care to give. Thank you, as always, for any help you give, and for your interest in the Mrs. Hawking project. None of this would be coming to life without our wonderful audience members. So, please join us for our FREE performances of Base Instruments and Gilded Cages in Waltham on Saturday, May 12th, and keep an eye out for more updates on Mrs. Hawking – the Proof of Concept film! Show times for Base Instruments and Gilded Cages at Arisia 2018! We are now on the schedule for performance times at Arisia 2018! Be sure to come see our shows, including the world premiere of part 4: Gilded Cages, at Arisia 2018! 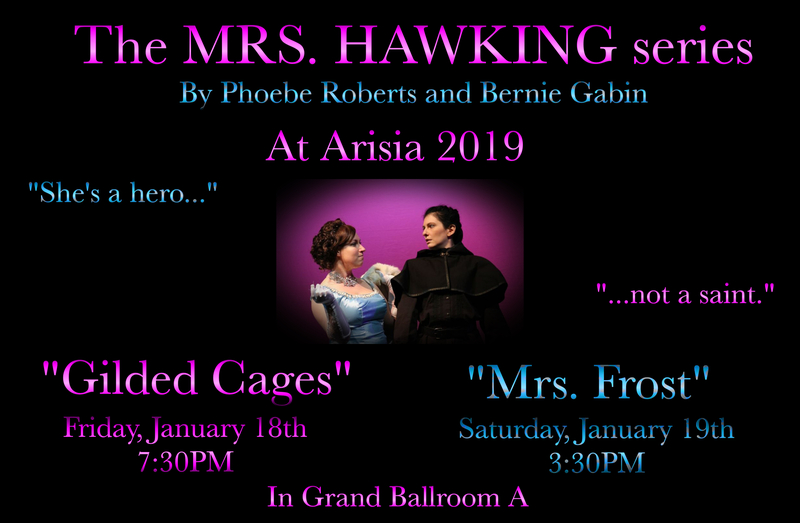 I’m pleased to announce we have complete casts and crew for our productions of Mrs. Hawking parts III and IV at Arisia 2018! I am delighted that while we have some new talents joining Team Hawking for the first time, we are overwhelmingly rejoined by our wonderful old friends who have been with us for multiple productions. Some have played these characters through the entirety of their journeys, while others have taken on a different role in each show. I’ve been so fortunate to have the chance to grow these stories with such a talented group of people again and again. Notably, the brand-new part IV: Gilded Cages will be the very first time we experiment with casting actors as multiple characters within the same production. This can be a risky move, as it can possibly cause confusion in the audience to have a familiar face taking on a different part upon a subsequent appearance. But we’re hoping to make points about the comparisons between the characters who are played by the same actor, that there is something meaningfully similar between the two— or, in some cases, meaningfully different, which you notice when you see somebody who appears to be the same think and behave in a fundamentally separate way. I’m very excited to experiment with this. It will be a fascinating challenge for the actors, to meaningfully create the two contrasting personas. And I can’t wait to see the results of their work. So come see us at the Westin Boston Waterfront on January 12th-14th at Arisia 2018 to see how we do! NEXT PERFORMANCES – Base Instruments and Gilded Cages at Arisia 2018! Mrs. Hawking is returning to Arisia this January! I am delighted to announce that Team Hawking is undertaking preparations to begin putting together our next round of production for Arisia 2018! We will be continuing our tradition of performing the two most recent installments, the part we debuted the previous year as a lead-in to a brand-new story, in order to make hook audiences into the flow of the series. So we are proud to present Mrs. Hawking 3: Base Instruments along with Mrs. Hawking 4: Gilded Cages, in its very first public peformance! Soon we’ll announcing the cast, featuring an array of both familiar faces returning to their roles as well as new stars bringing their talent to the table. And we’ll make sure to keep you up to date on scheduling, development, and process as it unfolds. Until then, I hope to leave you all in anticipation of the next direction the Hawking story is about to explore! And make sure to join us at Arisia 2018! this January the weekend of the 12th-15th at the Westin Boston Waterfront!